The grey-haired man excitedly showed us the treasures he accumulated since his younger years, “I’ve kept almost every single record of my blood donation journey. Look! 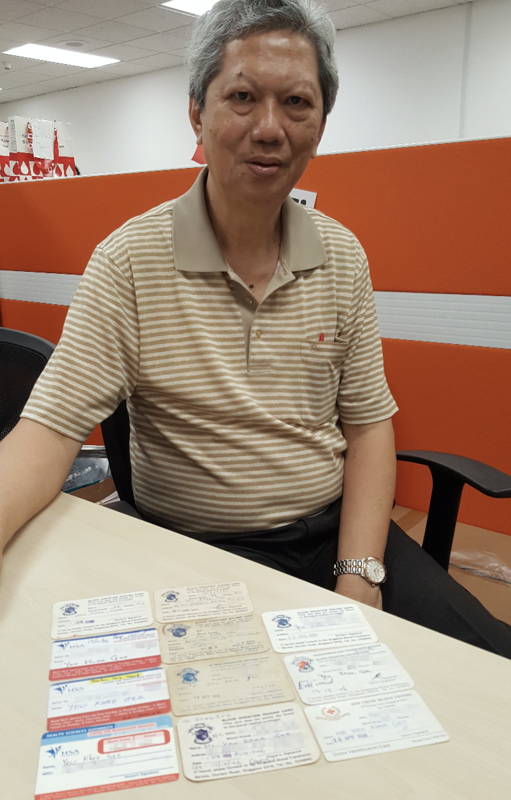 There’s even one donor card issued by the Singapore Red Cross!” Mr Yeo Khee Gee, 70, was a regular blood donor for almost three-quarters of his life. He was also a pioneer organiser of the Blood Drive at Braddell Heights Zone D Residents’ Committee and is currently volunteering actively there. At Braddell Heights Zone D RC’s blood drives, you will find Mr Yeo busy greeting residents and thanking donors; and he has been doing that for almost all of them! He had always wanted to give back to the society and being active in the RC activities was one way he could contribute. Thank you Mr Yeo, for your dedication to the National Blood Programme!